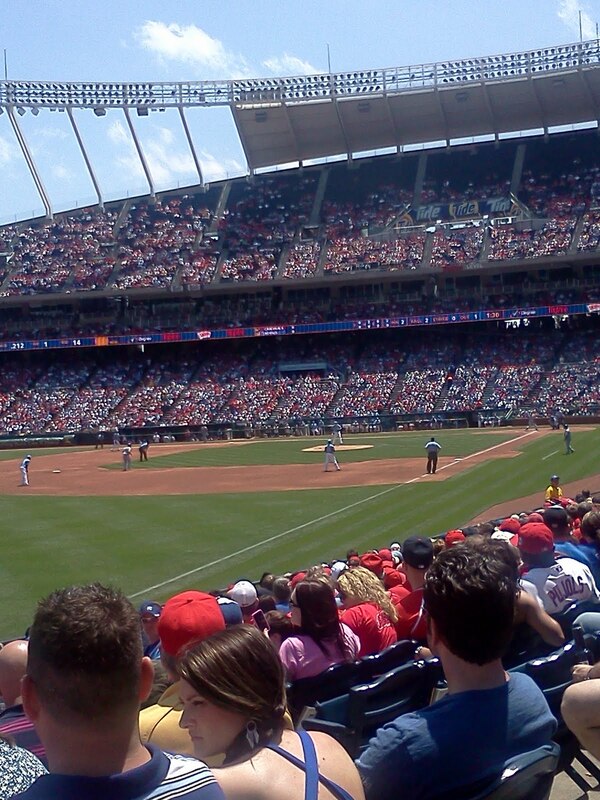 The Cardinals came into Kauffman taking 2 of 3 from the Royals. The Royals took the first game 3-0 behind strong pitching. The pitching continued Saturday through the 8th inning where the Cardinals bats woke up and won 3-0. I was at the game Saturday and it was a beautiful day to watch a ball game. A big problem I noticed were the huge amount of Cardinals fans. The cheers definitely favored the Cardinals. The game itself was not very interesting. Royals struggled on offense and their base running was suspect. Alex Gordon and Mike Aviles both were picked off at first. Sunday's game was the game to watch. Royals fell behind early 7-1 and fought back to tie the game with home runs from Alex Gordon, Jeff Francoeur, Wilson Betemit. In extra innings, pitcher Tim Collins walked the first two batters in the tenth and the Cardinals went up two runs. The Royals did manage to score one run in the bottom half of the tenth, but it was not enough losing 9-8. Royals are 22-24 and start a three game series in Baltimore, starting Tuesday. Go get em' Royals!